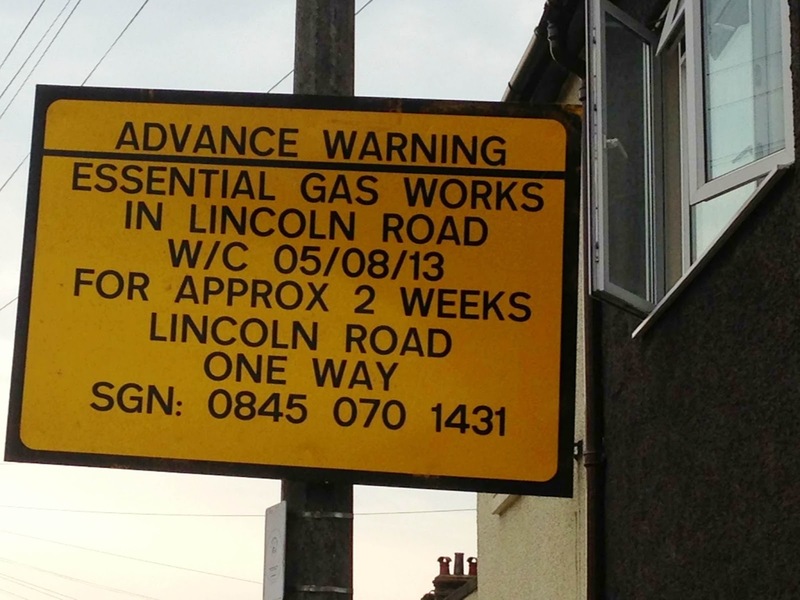 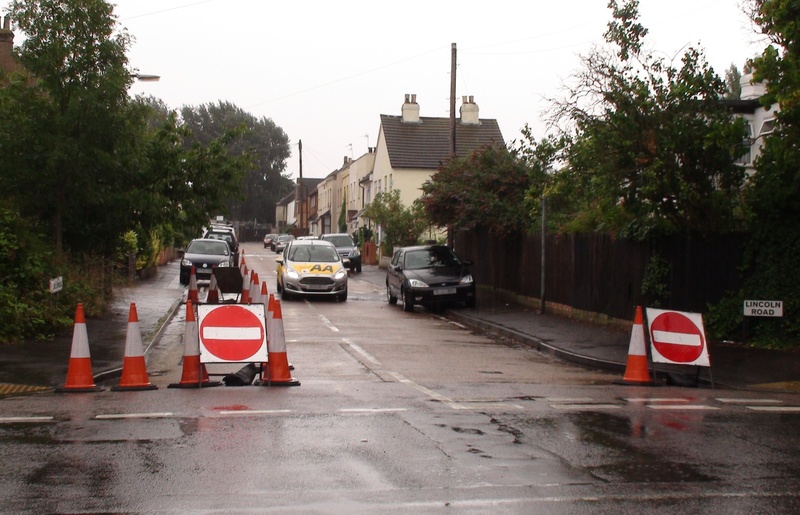 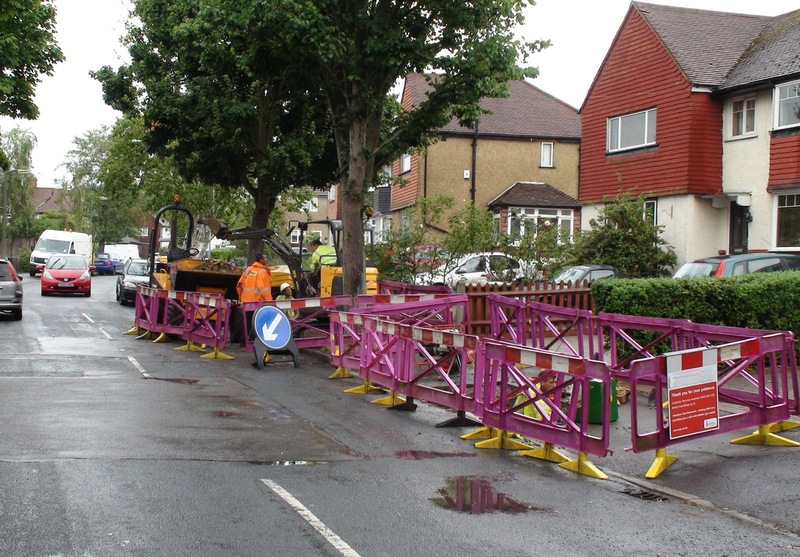 Lincoln Road is a one way street for the next two weeks while Southern Gas Networks dig up the road to replace the tired old pipes with brand spanking new ones. 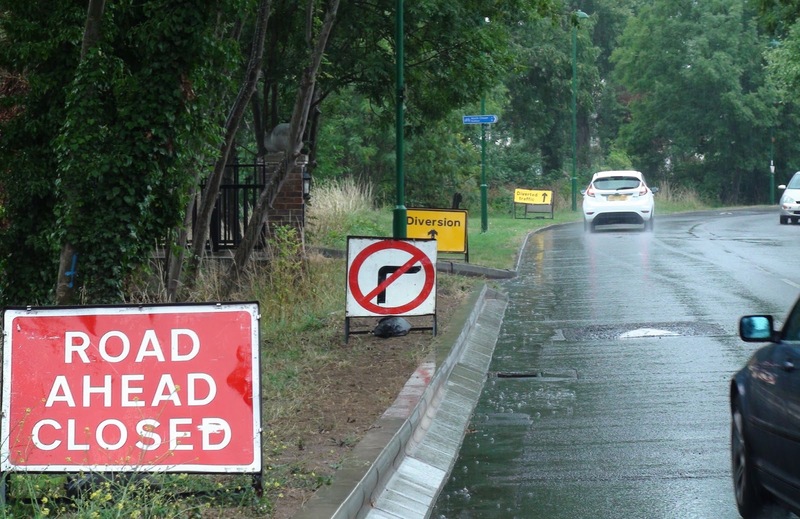 The direction of one wayness (or 'allowable travel' for those who don't like me making up new words) is from Longfellow Road through to Green Lane. 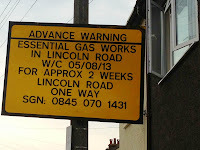 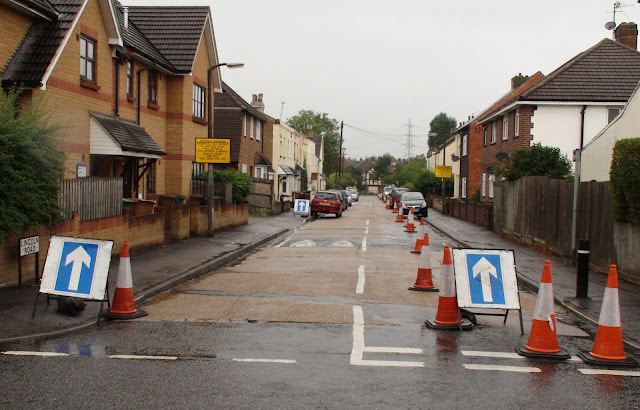 In other related news, the gas road works have now hit St Philips Avenue.